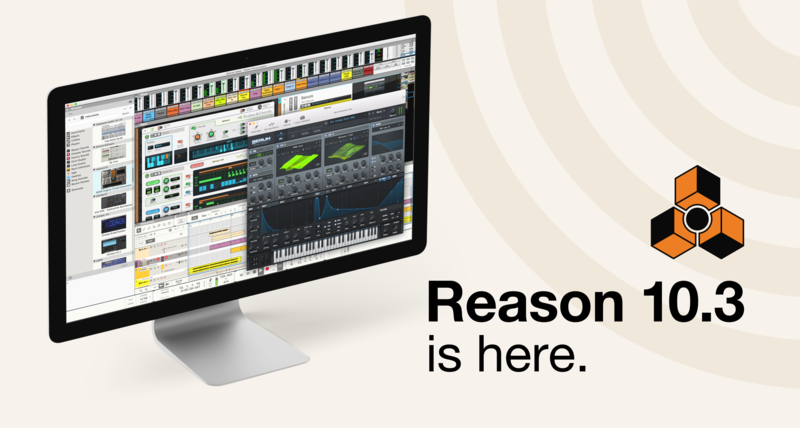 I’m happy to announce that Reason 10.3, a free update to Reason 10, is now available. Just launch Reason 10 and there’ll be an auto-update waiting for you. Reason 10.3 is the much anticipated “performance update”, a big rewrite changing how Reason handles buffer sizes to work how VST plugins expect a host to work. There’s now a setting in Reason’s audio preference to “Render audio using audio card buffer size setting” that is on by default. But what does that mean in practice? When making music, your computer can now handle more VST plugins before experiencing issues (like clicking and popping) on buffer sizes higher than 64 samples. Depending on the plugins used, the improvements you’ll see can vary a lot. In our testing we’ve seen improvements from a measly 10% to well over 200% when using a buffer size of 512 samples. You might see even bigger improvements on larger buffer sizes, but of course a larger buffer size has other downsides like latency. Now that we’ve had a month of beta testing I can also say for certain that even if you don’t use VST plugins, you’ll see performance improvements using Rack Extensions and internal devices too. As an example, the Reason 10 demo songs run 10-50% better on our testing machines using a buffer size of 512 samples. While this is all good news, some things might actually sound different with these rendering changes and that’s important to understand. When automating or CV controlling parameters in a VST, it will use the same resolution as the buffer size. This is also true for any feedback connection, for example sending a signal out of a device and then back in to the same device. In Reason 10.2 and earlier, the buffer size was fixed at 64 samples and thus had almost no noticeable delay. Now, with larger buffer sizes you might hear a difference when controlling a VST parameter or hear a delay when creating a feedback loop. In most cases, you probably won’t notice it, but for full compatibility with your older songs you can either bring the buffer size down to 64 samples or untick the new option in the preferences. 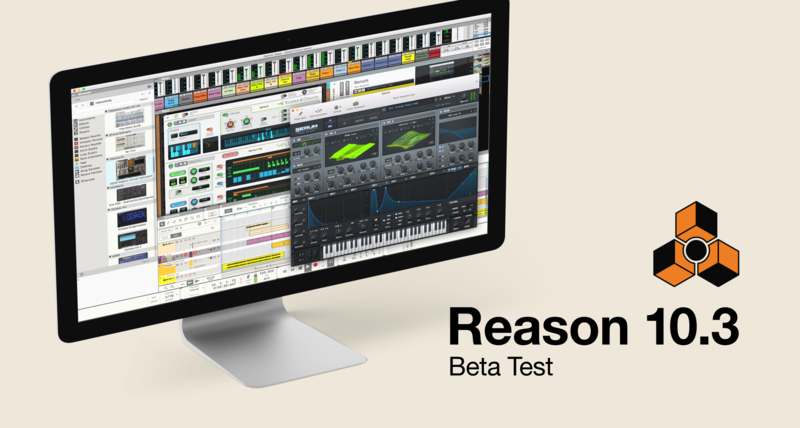 With all that said, we’re very happy with the improvements in Reason 10.3 and that we can finally share it with you. We’ve also reset all Reason trials so anyone curious about the improvements can start a 30-day trial. I personally want to say thank you for all the feedback and testing help we’ve had from the Reason users out there. Now it’s time to make more music! Reason 10.3 now in beta! When VST support was first added in Reason 9.5, we received a lot of great feedback: “finally, VSTs in Reason”. However, after a while we also started getting feedback about “poor and erratic” performance when using some of your favorite VST plugins. That’s when we started investigating. We eventually came to the conclusion that to fix the problem, we had to essentially rewrite big parts of Reason’s audio rendering code. As many of you know by now, that took some time. But now we have a version to share with you and I think you’re really going to like what you see! In Reason 10.3, VST plugins work as expected and Reason’s VST performance is on par with other DAWs on the market. How much of an improvement you’ll get varies depending on which plugins you use and your set-up, but it’s been improvements across the board. During alpha testing we’ve tested many of the most popular plugins on the market and we’ve seen improvements range from a measly 5% to a staggering 260%, and that’s when using a buffer size of 512. Why do I mention the buffer size? Well, performance testing is very complex with many moving parts so it’s important to test properly. When comparing things, we’ve tested identical situations on the same machines with the same settings where we can turn our changes off and on. We’ve set up “average” song documents as well as tested number of instances of many different plugins. What we’re defining as “bad performance” is when you start hearing audible artifacts, like clicking and popping, or experience issues that keep you from making music. In other words, we’re not looking at the CPU meter in the OS, but rather we’re testing where you’d have issues in a real-life music making scenario. With that in mind, we found that Reason 10.3 improves performance even when not using VSTs too! It will differ a bit depending on your setup, but we’ve seen up to a 30% improvement. In other words, you’ll be able to build your rack even higher and wider now without worrying too much. I hope you’re as excited about that as I am! 2018 is almost over, but I’ll be damned if we won’t release just one more awesome Rack Extension. I’m happy and proud to introduce Complex-1 Modular Synthesizer! It’s no secret that some of us at Propellerhead have a fondness for modular. We’ve had CV and gate cables, the semi-modularity of Thor and the Combinator for a long time. Since then many, many others have realized just how liberating and exciting working with this kind of blank canvas can be. With Complex-1 we wanted to really go all in on that feeling. It’s an open architecture modular synth, inspired by the legendary manufacturers that came before. And, lo and behold, it has cables on the front! In Reason, that seems a bit crazy but for an authentic modular synth experience it’s a must so we went out on a limb and did it. But we did it our way, they’re there if you need them and they’ll automatically show up when you want to route a signal. Hats off to the development team that came up with that! Since both me, Andreas (visual designer) and Pelle (DSP expert) are well-versed in synths, both modular and otherwise, we decided to go a different route than an empty rack you fill up yourself. With hardware, it often takes a long time before you have a cohesive, working system. In Complex-1, we made those hard choices for you, but we did it with some goals in mind: it should be playable, it should sound fantastic and it should be able to do truly weird patches. I think we succeeded. In fact, this is the most fun we’ve had making sounds in a long time! And we’re not alone. Our alpha testers sent us tons of patches, people at the office who aren’t into modular were floored by the sounds and we even got some amazing patches from our friends in the modular world—including Intellijel, Dwarfcraft, Peff, DivKid and more. Make sure you check out the sound examples on the shop page! Complex-1 might not be the easiest synth to learn, but it’s incredibly rewarding and it does sound truly amazing. It’s both an introduction to modular synthesis and a powerful instrument for the already converted. Complex-1 probably my favorite synth we’ve ever released, and I managed Europa too! Now that it’s released, I hope you’ll enjoy it as much as we have. The end of the year is nigh and you might be wondering how the VST performance improvements are going. The bad news is that it won’t be done this year after all, but the good news is that we’ve entered alpha testing and we’re getting great results! To understand why this work is taking a while, we wanted to share some details on what we’re actually doing. Many VSTs use less CPU when run with larger audio buffers. Reason has always run all devices with 64 frame buffer, regardless of the user’s audio setting. Reason native devices and Rack Extensions are optimized for this so they show no difference in CPU usage when audio buffer setting changes. Other parts of Reason can still have improved performance with a larger buffer size, but this is the case with our devices. The challenge with this update is to keep existing Rack Extensions and native devices running with 64 frame buffers, as before, while allowing VSTs to run with larger buffers in the same Reason rack. 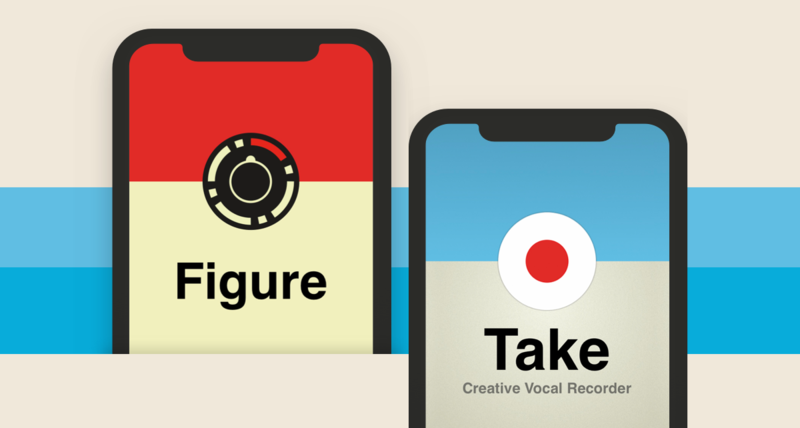 We made this technical choice because many of our users expect high performance while playing their instruments “live” and while patching, including feedback connections, which requires low latency for an optimal experience. By choosing a low fixed buffer size in Reason and Rack Extensions we were then able to optimize the whole system based on that condition, yielding high performance and a realistic result when patching audio and CV cables. The work now is to marry that world with the different paradigm of VST, providing maximum performance for all users in all situations. As I mentioned, we’re currently alpha testing our prototype with our trusted Test Pilots, a small group of seasoned Reason power users, and they’re getting great results in the prototype. We also talked about and showed our prototype to Peter Kirn over at CDM, you can read his impressions in his article on CDM. When we’ve gotten to a state where all parts of Reason are updated to work with these changes, we will begin a more public beta testing. With all this said, I personally want to apologize that I promised something we couldn’t deliver on time. That’s also why I don’t want to promise a new date when this will be done, but we’re working hard and it’s getting closer! I hope you look forward to the improvements, they’ll be worth the wait. Quad Note Generator – our new Rack Extension Player has arrived. Quad Note Generator is the Player device that creates an endless stream of musical ideas. Melodies you wouldn’t have thought of, rhythms not yet heard and music about to be written. We want to hear what you can do with Quad Note Generator! 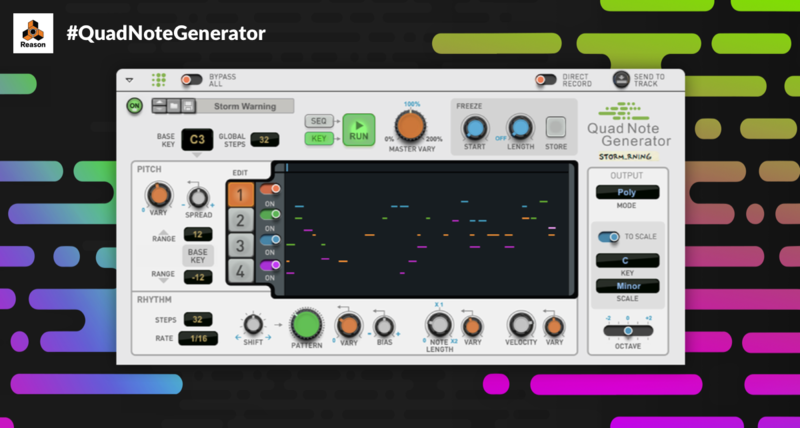 If you don’t already own Quad Note Generator, go get the free 30 day trial in our shop! Make some music with it, using any instrument you’d like, and share a video on your favorite social media channel, using the #QuadNoteGenerator hashtag so we can find it. We will repost our favorite pieces of music! I’m very happy to announce that Quad Note Generator, our new Player Rack Extension, is now available in the Propellerhead Shop. Designed by Propellerhead and developed by our friend Lectric Panda, this device is all about generating ideas with more or less controlled unpredictability. In other words, we wanted it to feel like having a box of new ideas in the Reason rack. If that sounds a bit geeky, it’s because it is! We were inspired by interesting sequencing concepts in modular systems, but also tried and true algorithms like Euclidian rhythms. Things that let you give up some control of your music, and in return be pleasantly surprised at the result. Don’t worry though, it’s actually quite simple. If it’s one thing that surprised us it’s how easy it is to stumble upon an idea that works, even if you don’t know what you’re doing. Within the first week of testing, PropellerHQ was filled with all kinds of generated music: funky clavinet lines, acid bass lines, abstract musique concréte, meandering piano harmonies, ambient soundscapes and bubbly synth lines. In fact, Stefan now has a habit of setting up a Reason rack with a few Quad Note Generators in the morning and then listening to the result while he works—that’s 8 hours. Ludvig, who designed the Player, found a great balance between control and happy accidents while Rob at Lectric Panda did a fantastic job putting it all together. I really think this is one of the most useful and inspiring devices we have ever made. I hope you’ll agree! I’m pleased to announce the launch of a new payment option called Rent-to-Own. Designed to be easier and more affordable than ever, it’s my hope that it enables you to balance your budget with your music making dreams. For just $9.99 per month/product, you can rent top-selling Rack Extensions—with every payment going towards owning them outright. Plus you can cancel anytime or pause payments for as long as you want—interest-free. Happy music-making from Lukas and Propellerheads! In my mind there’s nothing more exciting in electronic music than the drums. Powerful and driving, understated and rhythmic – there’s a world of possibilities at your fingertips with beats, and with our latest Rack Extension device Umpf Club Drums, we want to get you there as soon as possible. I want to drag beat-making in Reason kicking and screaming into the 21st century, with arguably our most essential update to drum production and specifically electronic music in some time. Parallel compression, dynamic processing and the best drum-hits in the business at the flick of a switch are central to the workflow in Umpf Club Drums, where dialing in a professional-grade beat is quick and easy. Great sounding results and visual feedback with both our dynamic compression display and waveform editors have been designed to highlight creative decisions and quickly get to what’s making your beats pop. Where Umpf really comes into its own is by allowing you to keep your creating juices flowing without leaving the device. That elusive state of ‘flow’ is a balance of the excitement of creativity, and results which are useable and unique to you. Part of the thinking behind this device is equally balancing those two requirements in a way that makes creating drums in Reason extremely fun. In combination with the Drum Sequencer (which comes free of purchase with Umpf), you can seamlessly tweak your beats and choice of sounds; dynamically tweaking rhythms and sound processing as you go for the perfect blend. Then inject variation and modulation using the mod-matrix for evolving and unpredictable fills and textures. If none of the 750 drum hits float your boat, drop in your own per slot or go wild and drop in any audio sample you desire for a great way to manipulate audio, triggered by both the sequencer and the mod-matrix. The most important goal behind this device was to get you, the music maker, to a Grade-A sounding result in Reason in as short a time as possible. Focusing on what sounds good, what’s exciting and contemporary, guiding you with 100 default kits and Drum Sequencer patches to mix and match as you wish. My hope is that this new device will unlock new ways of creating music for you in Reason and providing your tracks with endless groove.